CHENNAI. 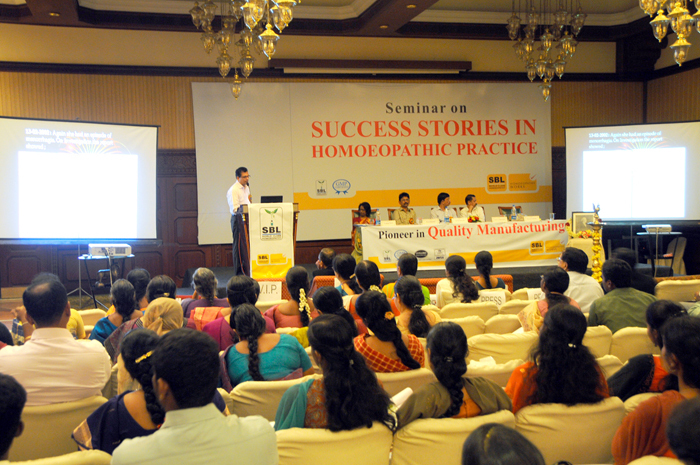 FEB.21: SBL Pharmaceutical company organized a seminar on success stories at Hotel GRT Grand Days, Chennai. The seminar was inaugurated by Mr.Mohamed Yusuf, Deputy Director of Drugs Control, Government of Tamil Nadu. Mr.R.Mugundashrestha, president, SBL. welcomed the gathering Mr. Skukula, DSM, SBL proposed vote of thanks. G.Sathish Bharani organized this event.